Unfortunately, it seems ADHD has become more prevalent in the past decade or two, and if you haven’t personally experienced the frustration and heartache it can cause, consider yourself lucky. Most of us know someone fighting this battle. Women in particular have bonded over their own battles with ADHD. Finding expert guidance can be just as frustrating as the everyday challenges. Everyone has their own unique struggles with ADHD. The books on this list are diverse in their target audience, tone, and content. Whatever answers you are looking for, I think you will find them in-between the pages of the books below. 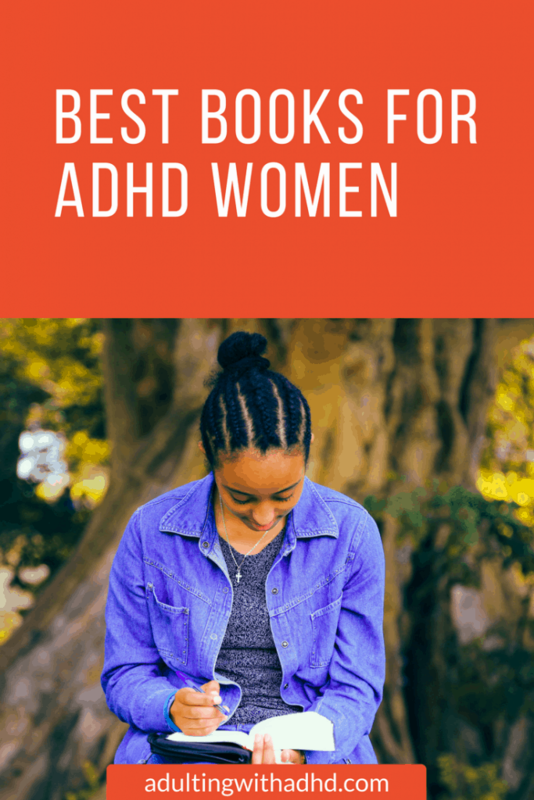 Looking for a definitive text on ADHD in women, a handy guide, a memoir or all of the above? Check out these texts from the experts in the field of women with ADHD. UPDATE: Be sure to also check out the books I’m reviewing on the Adulting With ADHD podcast! Groundbreaking research on women with ADHD that shows the link to depression, anxiety, disorganization, and underachievement. 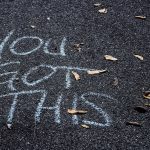 Including real-life case studies, therapist Sari Solden looks at the impact of societal expectations on women with ADHD and proposes three steps to recovery: restructuring life, renegotiating relationships and redefining self-image. This book is informative and statistics are included, but it also has a comfort-factor in the way it is written. 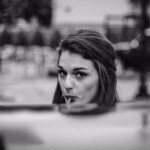 It is not a cold list of data but instead provides the results of important research of women’s real-life experiences with ADHD. Something’s got to give, and therapist Terry Matlen is here to the rescue with practical skills to help women reclaim their lives. Topics covered include parenting, relationships, skin issues, hormones, meal planning, and more. This how-to on how to thrive is more than just a survival guide, it’s a new way of living. The authors take a realistic, everyday approach to dealing with the pressures and stresses of real-life in while dealing with ADHD. 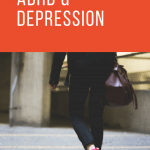 Tips and ideas throughout the book offer tiny changes women with ADHD can make that can reap huge benefits. You can have ADHD and live a “normal” life that does not revolve around your disease. 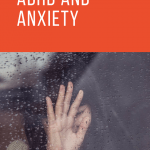 This collection of tips and tricks aims to relieve women of the anxiety and guilt of living with ADHD. In this collection of hidden gems, hundreds of real women living with ADHD share what works for them. This easy-to-flip-through-manual will help you once and for all get to the bottom of the laundry pile or that out-of-control junk mail. Not only is this an easy read, but many of us find comfort in knowing other women have the same struggles as we do. Reading their stories can bring great motivation to any woman dealing with ADHD, or anyone with someone in their life sharing that struggle. From the home and workplace to school and in relationships, this update from the 1999 classic is more comprehensive than ever. The complexity of women and girls is captured by team of two therapists and a pediatrician/ADHD specialist using clinical examples, research and case material and does not shy away from controversy. All of us have our own pre-conceived notion of the disease and are aware of stereotypes, but this book is straightforward and to the point and does not focus on either of those. As we all know, relationships can suffer greatly when ADHD is involved, and this book can help identify why we do some of the things we do, and how to understand and correct those behaviors. This memoir by journalist and blogger Zoë Kessler gets real on what it’s like being diagnosed with ADHD as an adult. Using creativity and humor, Zoë tells her entertaining story, not holding back on what it’s really like to have your career and relationships challenged with ADHD.This personal account is a fun read, which is hard to find when the topic is ADHD. I’m sure you’ve heard the saying “laughter is the best medicine,” and you will find that in this book. If you or someone you know has ADHD, you will probably find at least one familiar experience throughout this book that you can identify with. Pediatrician and renowned ADHD Patricia Quinn answers all of your questions about ADHD in women and girls. An ideal selection for anyone wanting a comprehensive look at the symptoms, diagnosis process, ADHD management and everything in between. It is hard enough being a young girl, dealing with puberty and the changes of our bodies, let alone the social stresses that occur in middle school and high school. Throw ADHD on top of that, and you may feel a hint of despair. Don’t worry. This is a good book to start finding some of the answers to your questions. Journalist Joan Wilder delves into the challenges of womanhood that can be compounded by ADHD, and you may not even know it. For example, post-partum depression, menopause, PMS, and even dietary sensitivities among many, many other experiences can lead to symptoms of ADHD. This book offers truly unique insights to a woman’s struggles with ADHD and other experiences only other women can understand. Conquering the symptoms is possible, and Joan Wilder offers tips and stories that will get your started on your journey. Knowledge is power, and you will have renewed faith that you can conquer and excel any obstacles you face after reading this book. by James W. Forgan Ph.D. and Mary Anne Richey M.S.Ed. As anyone who was raised a girl can tell you, it can be tough. Tough being an understatement. The drama, hormones, and meltdowns that ensue can leave us pulling our hair out. Raising a girl with ADHD greatly increases the difficultly level and at times, may challenge our sanity. In recent history, typically the focus of ADHD resources has been on boys, as they were the first to be diagnosed. Understandably, parents of girls with ADHD are sometimes at a loss for resources and research that is focused on girls with the same disease. Finally, here is a book for those parents. Beth Walker is talking directly to the girls in this book with tips for being successful while growing up with ADHD. If your tween or teen is a girl that struggles with ADHD, I highly recommend this book. It is funny and lighthearted, yet points to the issues that girls with this disease can have, and offers tips and ideas so they can identify their weaknesses and find ways to turn them into strengths. 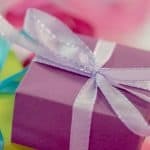 Written for the girl and not the parent, this unique format and combination may be just what your growing girl needs to know she is not the only one who feels the ways she does. Targeted at pre-school and elementary aged children, this kid-friendly book is great for introducing your young one and their peers about ADHD and what it means to have ADHD. Dr. Taylor includes activities and quizzes to keep easily-distracted children engaged and focuses on resources surrounding them that will help them with their struggles. Making friends can be difficult for kids with ADHD, but this book may help them and other children overcome that challenge. The Survival Guide for Kids with ADHD is essential for any kid beginning school and may help ease some of their fears. Organization using a pencil or a pen, paper, and a kitchen timer is the focus of this self-help book by Staffan Noteberg. The Pomodoro Technique is an inexpensive way to apply time-management and organizational strategies that some people pay thousands of dollars for. Many people have found life-changing benefits by utilizing this method, including an increased ability to focus and ability to achieve everyday goals. The timer allows for short bursts of activity, which is great if you have difficulty focusing for longer periods of time and are easily distracted. Those diagnosed with ADHD have found particular success with the Pomodoro Technique. We all know it is difficult to live with ADHD, let alone raising children with ADHD, or both. Fortunately, every day we get closer to conquering this illness. 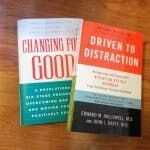 People with ADHD can excel at whatever they choose by utilizing the knowledge found in the books listed above. Whether you need a book for yourself as a parent or a book targeted to your elementary aged child, tween, or teen, you will find what you are looking for in just a few clicks. Tips and ideas for dealing with the symptoms of ADHD and related experiences await that can change your life forever.